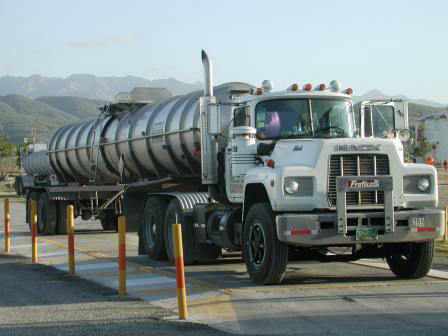 Demaco Terminal Operations is a "terminal for hire". We receive, store and dispatch chemical products for world known chemical companies. We do not own the products stored at our facility, but we are responsible for maintaining the quality and quantity of the products while under our custody. Electric power is purchased from PR Electric Power Authority at 115 KV. Two incoming transmission lines supply power to the plant switchyard. Switches and oil circuit breakers in the switchyard are arranged to feed 115 KV into one 20 MVA transformer supplying power to the main 13.8KV distribution system. Power is also distributed at 2.4 KV and at 480 volts. A deep well in our facility pumps water into the firewater pond, where two(2) 2,500 gpm pumps provide water for the fire protection water system located throughout the Terminal and dock facilities. 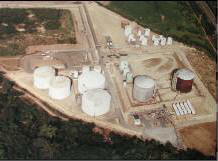 There are 34 tanks in the farm with a total capacity of 26,265,662 gallons or 625,816 bbls. All tanks are carbon steel. 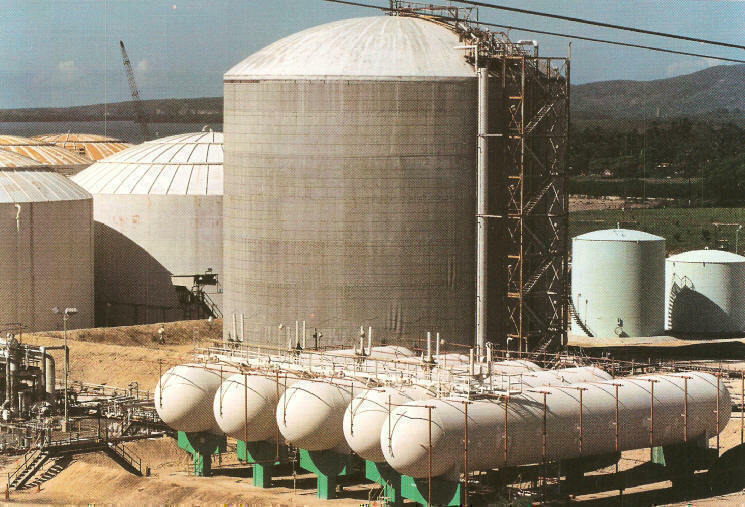 There are 7 pressure vessels. The regular tanks in VOC's service have internal floating roofs. There are 12 pipelines from the storage area to the dock. Four (4) pipelines are dedicated (i.e., the pipeline goes directly into the storage tank), and eight (8) multiproduct pipelines (i.e., the pipeline ends at a pig station). From thereon, a hose is connected to the receiving tank pipeline. Pipelines range in diameter from 4 to 12 inches, and are of varied materials of construction (carbon steel, aluminum, and stainless steel. The dock is leased from the Ports Authority. 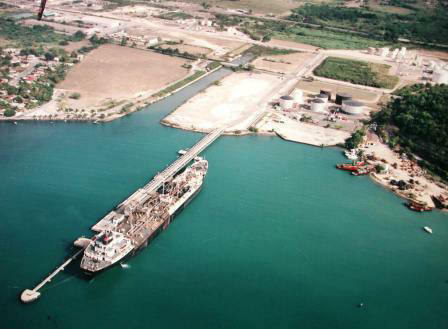 The dock accommodates tanker vessels up to 800 ft. in length. The pier consists of a 10 ft. wide trestle from shore to the main breasting dolphin, two auxiliary breasting dolphins, two mooring dolphins, a walkway, and an outboard dolphin. The pier simultaneously accommodates two liquid product transfers. Demaco utilizes the east side of the dock; a neighboring company utilizes the west side. The main breasting dolphin is a cast-in-place monolithic concrete structure with fendering on both sides. It is supported by on pipe piles filled with concrete. 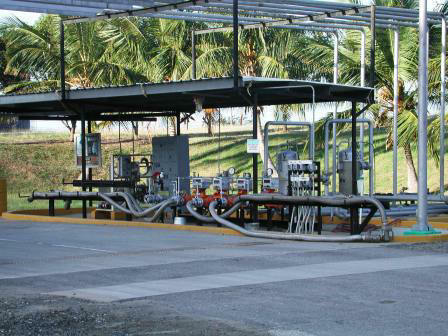 The liquid unloading facilities consist of a structure to handle the hoses. Product and service piping (water and nitrogen) terminate on the main breasting dolphin. 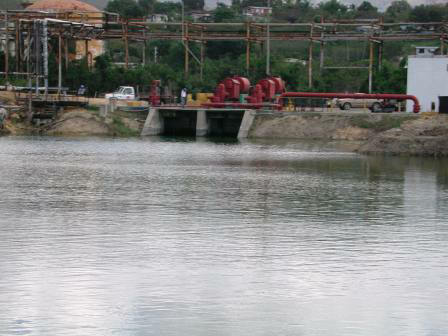 Harbor: A 300 ft. wide approach channel 40 ft. in depth was dredged in Guayanilla Bay to the marine facility. The dredged area increases to 380 ft. wide in the vicinity of the pier. Development of a Terminal to handle storage for pharmaceuticals and other plants. 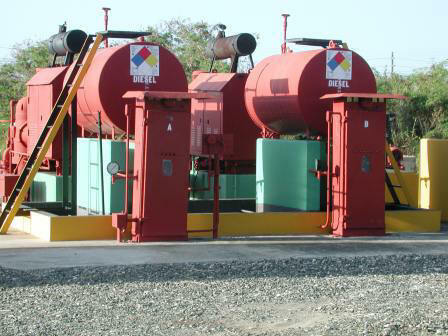 Distribution center for utilities, materials or construction materials. Development of a free-trade zone for tax-free industries. Development of manufacturing areas such as: Pharmaceutical Industries, or military components for aircraft industries. Drum manufacturing and drumming processing. Assembly line for internal combustion engines. Assembly line for agricultural machinery components. Manufacture of houseware goods, such as, stainless steel pots, plastic containers, etc. Manufacture of rubber tires(Uniroyal, B.F. Goodrich, or others). Service Industries as a finish processing zone for process which manufacturing has been started in the Caribbean or Latin American countries.